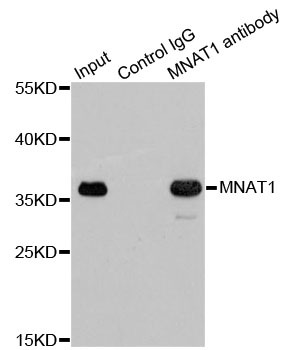 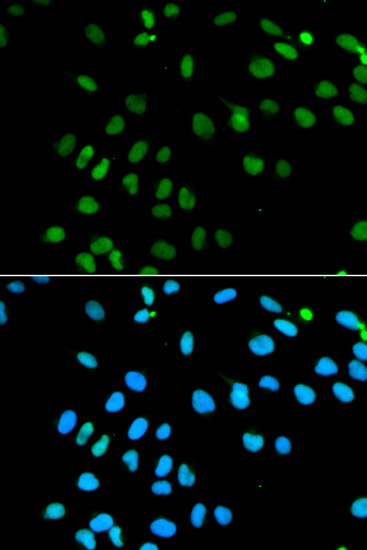 MNAT1 antibody LS-C335190 is an unconjugated rabbit polyclonal antibody to MNAT1 from human and mouse. 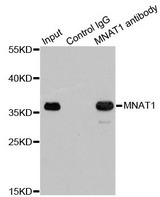 Validated for IF, IHC, IP and WB. 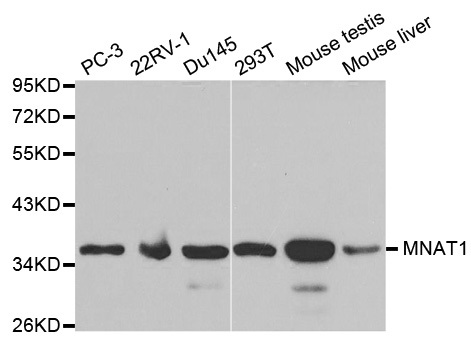 The predicted MW is 31kDa/35kDa, while the observed MW by Western blot was 36kDa. 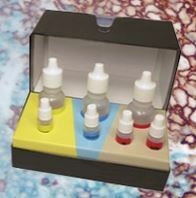 Immunoprecipitation analysis of 200ug extracts of 293T cells.